A new ignition switch costs between $10 and $30 depending on where you purchase it. Different years and models have slightly different parts. Below are links to ignition switches for each year. Beside the part you’ll need a small jeweler’s flathead screw driver and a flashlight. The below steps cover the 996 variant of the 911, 986 and 987 Boxster and the 987 Cayman. The newer 981 Boxster / Cayman, 997 and 991 have a redesigned ignition switch that requires different steps to replace. Before you replace the ignition switch you’ll need to remove the key from the ignition to prevent possible electric shock. If you can’t remove the key, disconnect the negative battery cable from its terminal. If you do need to disconnect the battery, make sure you have your radio code handy. The factory features a security code to help prevent theft. Disconnecting the battery will cause it to loose the code settings, making it unusable until the code has been re-entered. The next step is to remove the plastic ducting under the driver’s side dashboard. The plastic should come right out by pulling away one side and then the other. Once the HVAC ducting is removed, use a flashlight to see under the dash and look for the wiring connector colored purple. Carefully pull the wiring connector from the ignition switch. The ignition switch is held on with two small screws. One is located in the front and the other in the back. Using a flathead screw driver loosen both screws. Make sure to loosen each screw only about half way as you don’t want the screw to fall out (trust me it isn’t fun). Once the two screws are loosened the ignition switch should pull right out with very little force. If it doesn’t come out easily you probably need to loosen one or both of the screws more. The new ignition switch should easily fit when you push it into place. It only goes in one way, so if it is difficult to put it in place try turning it. Now take your small jeweler’s flathead screw driver and tighten both retaining screws. Now reconnect the purple wiring connector. It will only go on one way and should push into place with a small amount of force. 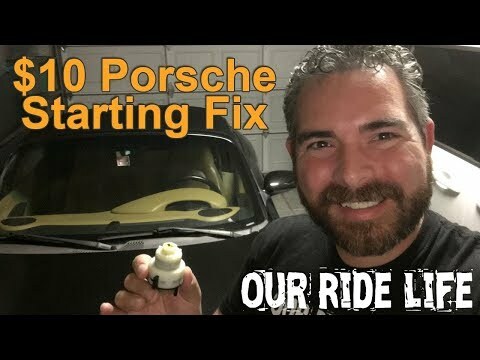 If it doesn’t go into place easily try to rotate the connector as not doing so and applying too much force could ruin your new ignition switch. Take the HVAC ducting and re-install it. It should go on fairly easily connecting one side and then the other. Make sure not to force it as the plastic can easily bend. That’s all there is to the installation. Once you do this you should be able to start the car easily and inserting and removing the key should happen with ease. We know that sometimes just following words can be difficult, so we have put together the below video to show the steps required to replace the ignition switch.